In his 1943 Skinner lecture, Henry Cohen observed that “All diagnoses are provisional formulae designed for action.” The diagnoses which lead to clinical action occur within therapeutic relationships which serve patients and bolster practitioners. The bestselling Pocket Guide to the DSM-5™ Diagnostic Exam embeds psychiatric diagnoses within the therapeutic alliance. This book encouraged a wider audience to approach each patient as a person before determining his or her specific diagnosis. 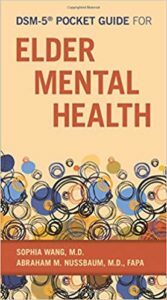 The book helps humanize psychiatric treatment by altering the way mental health practitioners see and engage with patients. 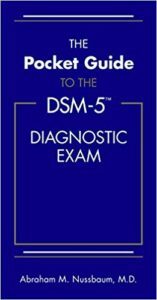 The Pocket Guide to the DSM-5™ Diagnostic Exam was an Amazon Top 100 seller upon release. Dutch, Hungarian, Italian, Japanese, Korean, Portuguese, Spanish, and Turkish translations have been published. Special English-language versions were also created specifically for Brazil, Greece, and India. 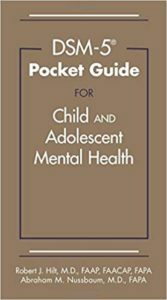 Building upon this work to create person-centered treatment guides, The DSM-5™ Pocket Guide to Child and Adolescent Mental Health, was co-authored with the pediatrician and child psychiatrist Robert J. Hilt. The second guide, The DSM-5™ Pocket Guide to Elder Mental Health, was co-authored with the geriatric psychiatrist Sophia Wang. Both guides have been translated into Chinese. I am a physician, writer, and teacher. I practice at Denver Health and serve as Chief Education Officer and DIO for Denver Health’s health professional education programs. The Finest Traditions of my Calling explores how the practice of medicine became the business of healthcare, physicians became technicians, and how practitioners can renew medical care. Caring for persons with mental illness can be challenging. To face the challenge, everyone needs accessible person-centered and evidence-based guides. 2019 © Abraham Nussbaum | Images sourced from the National Library of Medicine Digital Collection.